My name is Nikola and I am a second year Maths student. My favourite hobby is photography, and I am (not so) secretly a big science nerd. 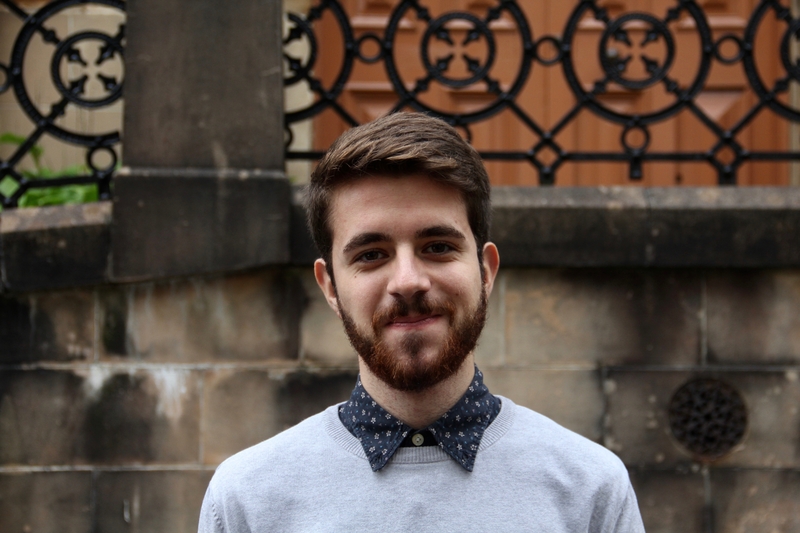 I am also a Current Student Representative on the QMU Board of Management. What is you role on the team? What do you do? I am the Science and Tech editor for [qmunicate], and my job is to start discussions about recent technological and scientific advancements in our weekly meetings. This year I will focus more on exploring the local scientific research and reviewing science and tech related gigs and events all around Glasgow. I am always open to new ideas and everyone is welcome to contribute to the discussions with their own stories. What is your favourite thing about Glasgow? During my first year of Uni, Glasgow has become my second home, and the West End gave me many great memories. I love walking through The Botanics, having breakfast in Artisan Roast, and, of course, spending days and days in the QMU. How did you get involved with [qmunicate]? It is actually quite a simple story: I came to one of the meetings, enjoyed the discussions and the ambiance of the room, started writing for the last year’s amazing editor team… and the rest is history. What is your advice to someone wanting to get involved? My advice is, like always in life, come and try it out. Our meetings are open to everyone, and no one is expected to do the writing if they don’t feel like it. If you just want to listen to the discussions, maybe have your opinion heard, pitch new ideas, or even gain some writing experience – [qmunicate] is the way to go. Do you need to have an in-depth scientific background to get involved in your section? No. If you like science and tech, and want to learn more about the newest research, you are more than welcome to participate. What’s the weirdest story you’ve came across in science and technology? I remember reading an article about forbidden research that doesn’t get published. It was about the projects and experiments that are dancing on the edge of morality, and how they could affect our society if carried through. It is the scariest article I’ve ever read, and would like to see how my writers would approach the topic.